How do you bring the heat without losing one ounce of glam for your Senior Photos? We took all kinds of pointers from miss Erika in her sassy red dress and with her mad soccer skills! No. 01 = Professional hair and makeup styling is a must. Your senior experience is a once in a lifetime event, so why not indulge in something a little luxurious? Our team of professional stylists are ready to bring your beauty dreams to life…whether that is a fresh, natural look or smoky eyed glam. A camera ready face is different than a street ready face, and our style experts will know just how to highlight your natural beauty! Shout out to our makeup artist Alicia and our style partners at Sorella Salon for Erika’s gorgeous look! If professional styling is a new experience for you, don’t fret! Check out our behind the scenes makeup video to catch a glimpse into the process! No. 02 = A pop of color is a fabulous statement! We are firm believers that the world needs more color, which is why we are in love with Erika’s red dress. Sleek and perfectly fitted, this outfit is anything but simple. 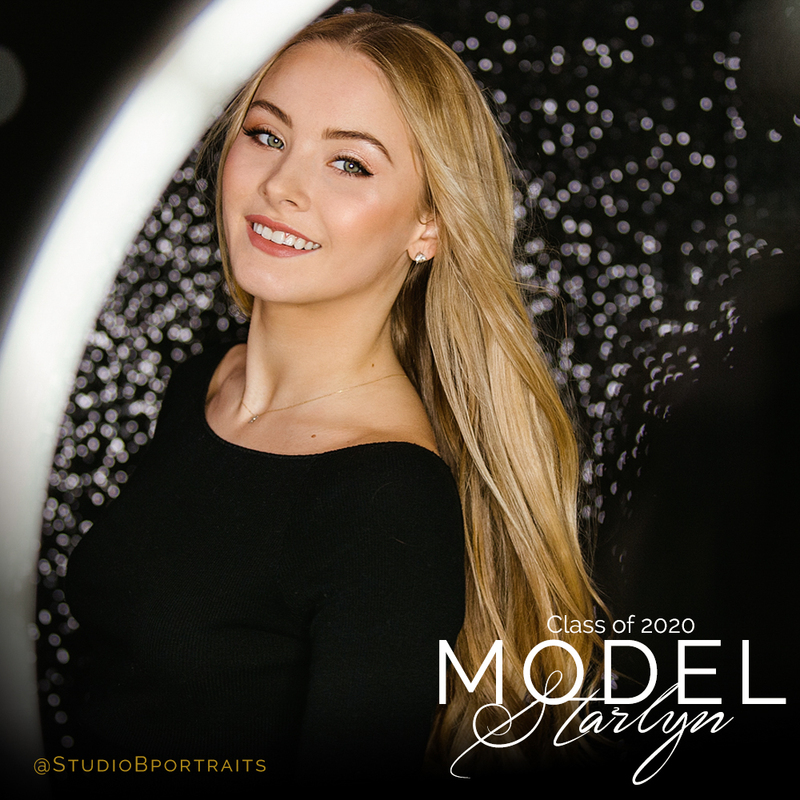 If you’re looking to incorporate a splash of your favorite hue in your senior portrait experience, find a color compliment your skin tone and hair color to really create a look that will stand out from the crowd. No. 03 = Personalize your senior experience with a prop that represents something you love! We are total fans of the natural energy that came from Erika’s look when her soccer ball was brought onto the set. Not only did we get to witness her skills in action, but we now know it is possible to stay flawless while staying totally in control of a soccer ball (a feat that we would NOT be able to personally pull off, let me tell ya). Are YOU ready to take your senior photos to the next level? Let’s do this! 2020 Model Team | Brand Influencer Bryan | Apply now! As the face of Studio B Seniors at Eastside Catholic, Bryan is involved in National Honor Society, as well as wrestling, football, and track and field. On top of that, his dream job is to be a biologist! Bryan credits Von Miller’s pre- and post-game wardrobe as his current style inspiration. Is it time to refresh your look? 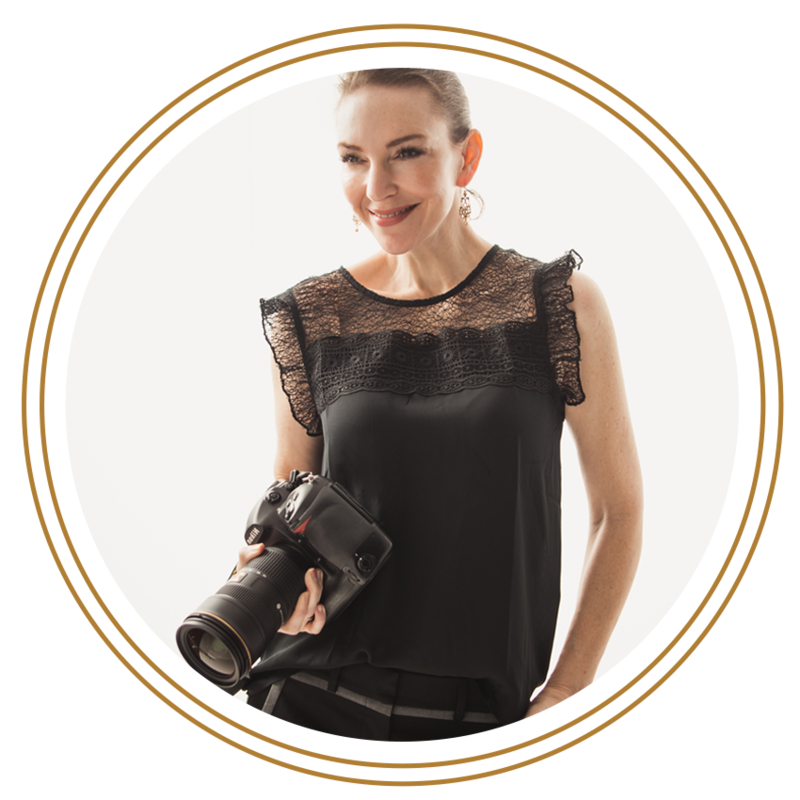 Is it time to refresh your professional headshot? Let our team help you put your best face forward. We're celebrating business professionals everywhere during our upcoming Professionals Week - that time of the year when our Headshot Special becomes even more amazing! 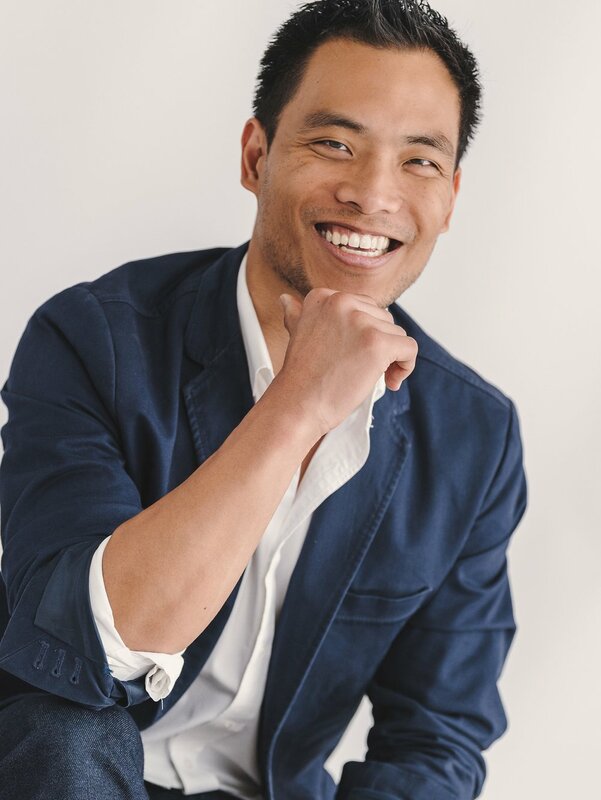 Our all-inclusive Headshot Special portrait session gives you everything you need to refresh your look and update your marketing and Linked-in profiles with your new contemporary headshot. Your twenty minute session includes a wardrobe change, choice of studio or outdoor sets, magazine quality retouching and a digital file with unlimited reproduction rights. 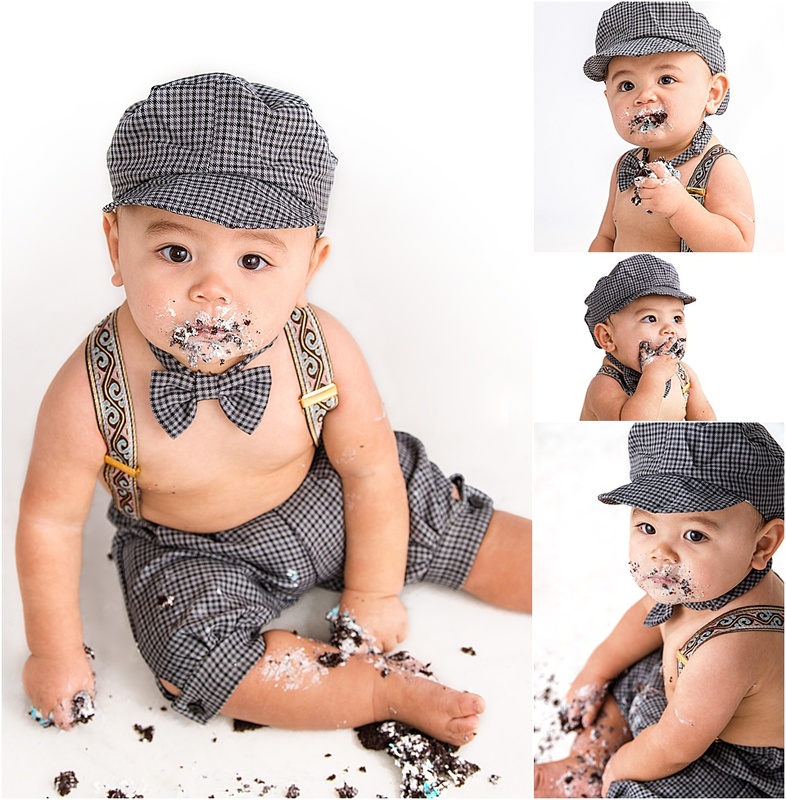 Mention Studio B Portraits promo code PWS19 when you call to receive a BONUS black and white digital file when scheduled between March 25-29, 2019. 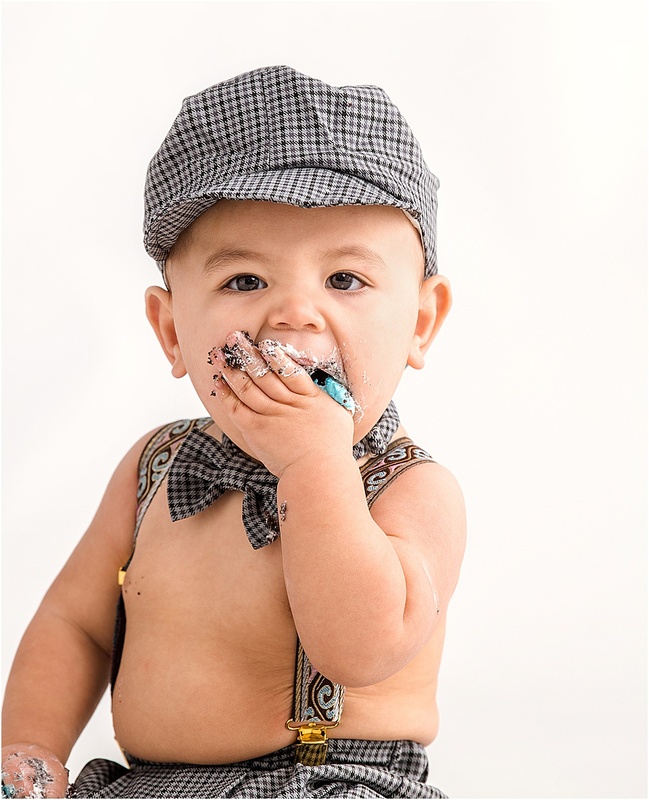 Need a little inspiration for your headshot session? Check out our video below or view our gallery of business professionals! Are you ready to elevate your personal brand? What do you do when Mother Nature reflects our typical PNW gray skies on the day of your photoshoot when you were hoping for blooms and sunshine? 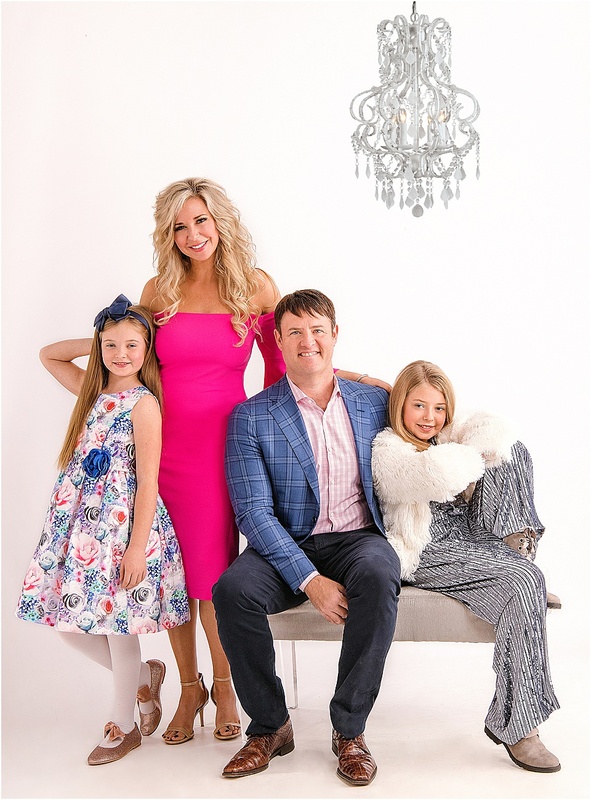 Well, if you are the Wadlow family, then you simply bring all things light and bright indoors to your studio session! We have been photographing this sweet family since maternity photos for their second daughter Evelyn, and ever single time we see them, they outdo themselves with their trendy styling. This year, their studio portraits were inspired by all things springtime and fabulous! No. 01 = Embrace TEXTURE. The silkiness of miss Evelyn’s dress combined with the fur of her sister Sophia’s coat is as close to perfection as it comes! And can we just give a shoutout to Charles’ blue suit jacket on top of his striped pink shirt?! Varying textures read well on camera and are fun to coordinate in your styling process, so let loose and let the textures carry you away! No. 03 = Embrace INDIVIDUALITY. Our favorite part of the Wadlow’s styling is how each person gets to rock something totally unique. From Charles’ amazing suit jacket to Michelle’s drop dead gorgeous dress, Evelyn’s florals to Sophia’s killer jumpsuit…everyone gets to wear a statement piece! Ready to capture some memories for your family? Whether this is an annual experience or you haven’t had photos taken since the kids were in diapers, we’re excited to be a part of documenting your story. Image is everything and branding is important but honestly, what is the best time to update headshots for your entire team? All-hands meetings and conferences are a great way to check the box. The staff at tech company Chef - jumped on the opportunity to refresh their imagery for the company executives, team coordinators, and assistants during their annual conference in Seattle. The opportunity to shoot at the newly opened Grand Hyatt Seattle was a visual dream come true for our Studio B Team…we couldn’t stop oohing and ahhing at the sophistication of the environment, which perfectly complimented the trailblazing energy of the Chef team. Our cutting edge clients know the power of having contemporary imagery that represents their brand, and in our experience, this starts with cohesive headshots for your entire team! We know that each individual is a valuable player in the game and each contributes to the whole in a unique way, and that is exactly what we capture in our on location Corporate Headshot Sessions - strong imagery that matches your brand identity, fueled by the unique personalities that pour their heart and soul into your company. Having your professional corporate portraits taken on location is a fabulous way to capture the spirit of your business and create relevant images to be used for your website, blog, and other marketing endeavors. It is a step that you don’t want to skip in your journey of developing your brand identity! Ready to schedule headshots for your team? We’ll bring the studio to you for your team branding. Studio B is getting away to San Francisco and you are invited! Thinking Golden hour in the Golden Gate City could be magical? We do too! Join us for a Dream Portrait Getaway in San Francisco. For details read on! Ready to get dressed up and go on an adventure? We’ve created a dream session that will begin with professional hair & make-up and end with you snuggling in front of the the San Francisco skyline. Did we mention the part where you are kissing on a cable car, strolling through the Palace of Fine Arts and making memories together? Yeah, we’re doing that too. You know those people that you meet in real life that are so fabulous that you assume they just stepped out of a fairytale? Meet Anna, aka the doppelganger of Disney’s Merida. As a model on our Class of 2020 Brand Influencer Team, Anna represents Issaquah High. If you’re interested in joining our elite team of Model Brand Influencers, keep scrolling to apply! Not only does Anna have the most fabulous mane of red hair we’ve ever seen, but her sweet and strong personality won our hearts right away. This girl hopes to work in secondary education as an English teacher or be involved in the business world post-high school. In her free time, you can often find Anna involved in some way, shape, or form in the theater world - whether action, writing, directing, or producing. She credits Madison Beer as her current style icon and loves to shop at Urban Outfitters. Hey Class of 2020 High School Juniors…interested in more info to apply?